Leora Sutton & Pensacola Archaeology – Tell my story. Friends, I am writing a letter to this woman today. This is Leora M. Sutton, an amateur archaeologist and a historian who has written several research reports and articles about Pensacola, some of which center on Emmett’s time period. 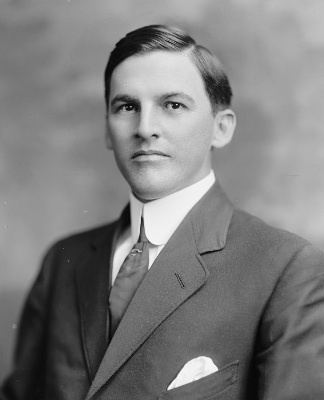 I’d like to get her impressions on Gilded Age Pensacola and some of the personalities she’s discovered in her research — some, hopefully, are identical to folks I’ve found in Emmett’s story. It’s possible. I just found out today that she’s 98 years young, and sharp as a tack. Unfortunately, she doesn’t have email — I’m reluctant to call a senior out of the blue about my research without some kind of proper introduction. I’ll write her a great letter, of course. I’m so thrilled with the idea of talking to her, and discussing (hopefully) her take Emmett and his colleagues. Leora has donated her personal papers and research to the University of West Florida, and the Pensacola Historical Society. There is quite a lot of scholarship there, rather impressive, given the fact she was listed as an amateur. I’d say her experience and publication record indicate otherwise. This is a woman who loves history, who would probably like hanging out with me in a dusty old archive and sifting through papers, one-by-one, in search of that elusive, important clue about someone obscure, like Emmett Wilson. This book is out of print; unfortunately. I wonder if, perhaps, Emmett’s friend Minnie Kehoe is mentioned in this? Source: Google Books. This is someone I can relate to, people. Or, who I hope I can connect with, at least. …and the report was probably restricted because it had names in it. Was Emmett’s name in it, I wondered? 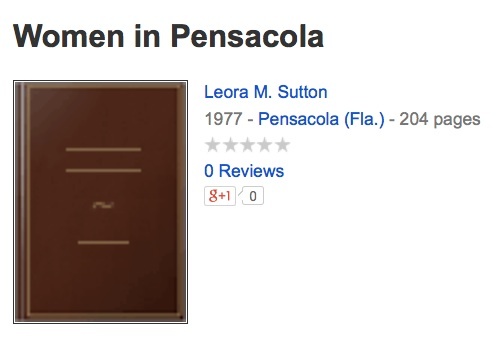 So…I contacted the awesome Jacki Wilson at the Pensacola Historical Society, and asked her what she knew about Leora’s research report. I’m interested now in knowing what makes it so ‘restricted.’ I wonder what names are included in that report; perhaps well known local political figures and other leaders who were ‘regulars’ at the hotel? Perhaps friends of Emmett’s? Since Leora wrote the original report, I’ll at least be able to ask her about what’s in it. But more importantly, I hoping she came across Emmett in her research; perhaps she has his long-lost scrapbooks! Wouldn’t that be great? The odds are slim, but you never know. I’ll let you know what happens after I get in touch with Leora! Wish me luck! By the way, the Pensacola archaeological project is interesting to read about. If you’d like more information, there’s another research report on Pensacola’s red light district by Jackie Rogers, here. There are also a few other sources, here and here. There is also a video from the Florida Public Archaeology Network about an exhibit about Pensacola’s red light district. Click on the image to launch the video.